We use the same care in hand selecting diamonds for our fashion rings as we do for our engagement rings ... and the quality shows. 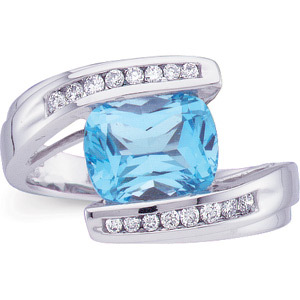 Our diamond rings always say, "Wow, where did you get that?!?" Fashionable ... not fragile. Every mounting is heavy weight to last a lifetime. All the stones are genuine, and the highest quality nature has to offer ... bright, vibrant colors that will enhance any wardrobe! An anniversary ring says, "Given the chance, I'd marry you all over again." 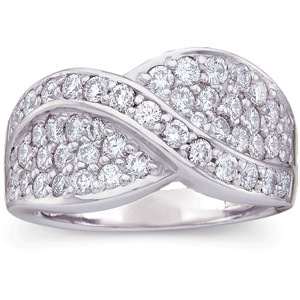 Select from our wide variety, including eternity bands, a ring of diamonds that endlessly encircles her finger, signifying your endless love for her. 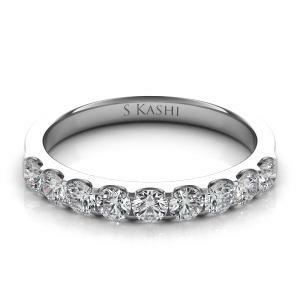 We can also custom design a band to enhance her current bridal set.